Real Housewife of OC Lists Coto Home for Sale! 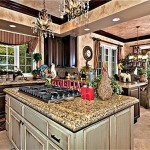 Home » local » Real Housewife of OC Lists Coto Home for Sale! Are you a fan of the Bravo’s hit show ‘The Real Housewives of Orange County’? Or do you secretly wish you were an OC housewife? Well, here’s your chance (almost :))! Vicki Gunvalson, the OC Housewife who’s been on the Bravo reality show the longest, filed for divorce from her husband last year. With her two kids grown and out of the house (for the most part) and her giant house practically empty, Vicki finally decided to sell her Coto de Caza spread. This means that if you so desire, you can purchase her home and a piece of television infamy (her backyard has been the site of more than a few OC Housewife cat fights). So, for the recently reduced price of $2.5 million, what do you get? The backyard, where OC Housewife Tamara recently threw a drink at Jeana, has a pool, firepit with seating, an outdoor kitchen with a built-in barbecue, and a grotto with a TV and bath. Perfect for throwing OC Housewife style parties. Cheryl Marquis is an OC real estate expert. Call her for any of your Orange County real estate needs!